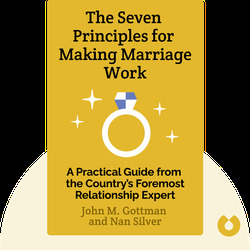 The Seven Principles for Making Marriage Work (1999) draws on data from relationship studies and interviews to do exactly what it promises in its title. These blinks take you through the key changes you can make to overcome the common problems that damage relationships and build a supportive, romantic marriage. 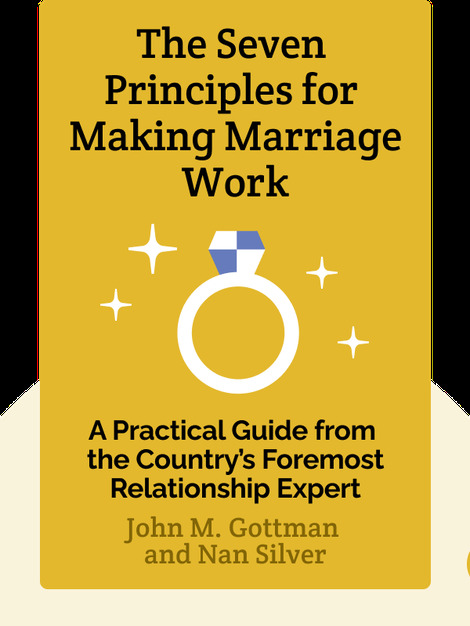 John M. Gottman is a psychology professor at the University of Washington and co-founder and co-director of the Seattle Marital and Family Institute. His research into romantic couples has spanned 40 years and he has earned several prestigious academic awards for his work. Nan Silver is a blogger, journalist and a New York Times-bestselling author. She has also been editor-in-chief of Health and a contributing editor at Parents magazine.